Blue Onyx Reiki Master Oval Set. 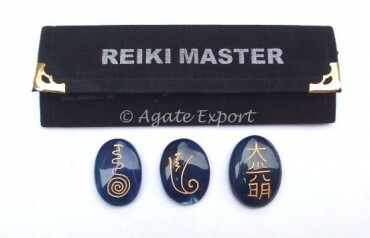 Blue Onyx Reiki Master Oval Set is made of beautiful colored blue onyx. Reiki is a process of healing by passing the energy using hands. Keep these stones with you to help you to carry out the process. Red Jasper Palm Stone Chakra Set. Rose Quartz Plam Stone Chakra Set.